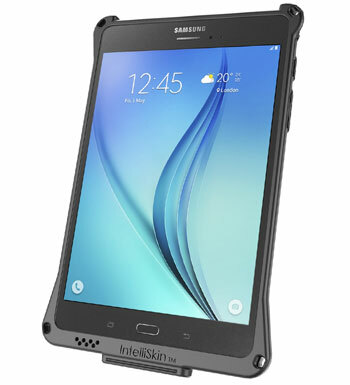 The IntelliSkin™ is a protective sleeve with GDS™ connection for the Samsung Galaxy Tab A 8.0. The IntelliSkin™ features an integrated connector which is molded directly into the skin. This prevents damage to the connector on your device from repeated docking and un-docking. On the exterior of the skin are molded, ruggedized docking contacts designed for repetitive docking and undocking, common in field applications. IntelliSkin™ offers a GDS™ connection to any GDS™ dock for port replication and charging. Product comes in retail packaging. 3 year warranty for IntelliSkin™ products.